Have you ever heard money can’t buy you happiness? Truer words were never spoken. However, as someone who has worked in the financial world for decades, I can do tell you money can be a useful tool to get you there. I recently participated in the Laguna Beach Aquathon, an annual event dating back to the 1980s. Participants start at Emerald Bay and head south for about 7.5 miles of swimming, bouldering, and running along the coastline to the finish at Three Arch Bay. If that sounds challenging, it is. So why would I do it? What does this have to do with money and happiness? While there is no registration fee to participate in the Aquathon, participants are expected to make a donation. It has been a charitable event for years. 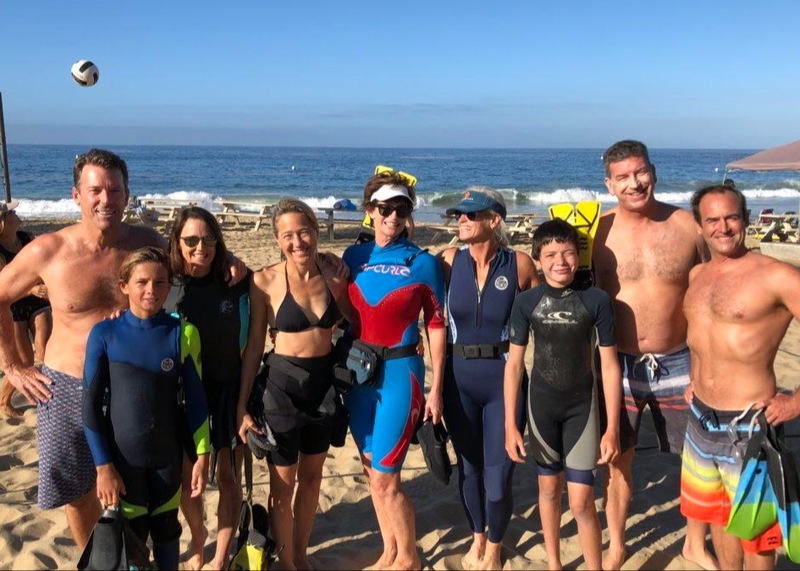 In fact, thanks in part of Aquathon donations, the Miocean Foundation was able to announce a successful completion of its mission to clean up all 42 miles of Orange County’s coastline that have public beaches. But philanthropy alone is not why I have done this every year for eight years. Going down for the Sunday event always means a whirlwind 48 hours. I stay with old family friends of my parents in their amazing cliff front home. I never get tired of that view, or of the hospitality they show me. Then I meet up with friends I’ve gathered along the way from various past lives: lifeguarding, UCLA and, more recently, fellow members of my ProVisors group. My friend Adam and I have been doing it the longest. We bond over this event as we make amazing memories, overcoming the adversity of the sometimes cruel ocean together. As I have written about before, friendships like these aren’t just nice to have, they are essential for our health. Harvard did a study of over 700 men over a period of eight decades, and discovered those with close social connections report being happier. They live longer. Their happiness even helps lessen physical pain in old age. Alternatively, declining physical health and brain function is associated with isolation. Insecurity in our relationships negatively affects memory over time. The evidence appears clear. Maintaining friendships means maintaining health. Making good memories actually affects our ability to retain memory and have quality of life into old age. I always ask clients this question. If you come into my office and tell me you want to make more money in the stock market, or that you want to save up more for retirement, or really anything at all, I’ll ask you: what’s the goal? Having money is a means, not an end. The question we all have to ask ourselves is, what do we want to use our money to accomplish? My goals are to live healthy, live long, live well, be grateful and give back. I therefore believe there may be no greater financial investment I can make than the ones that enable me to make lasting memories with my dearest friends while supporting causes I care deeply about. Your goals may be a little different, but I’ll bet we share this much in common: we want to have, and to share, happiness. Money can’t buy it, but it sure is a great tool to help us get there.